The different Communication courses focus on covering a range of skills varying from personal communication dynamics in teams to the mastery of public sepaking. We can improve the communicational efficiency and health of individuals and teams. 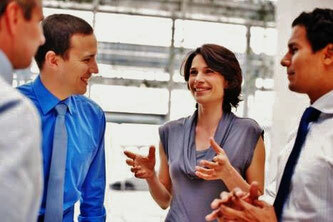 Our work makes each participant become a better communicator. Our goal is making communication a maximised tool so that it fulfils its purpose. Through dynamic sessions, participants learn to convey their message in a more satisfactory way.